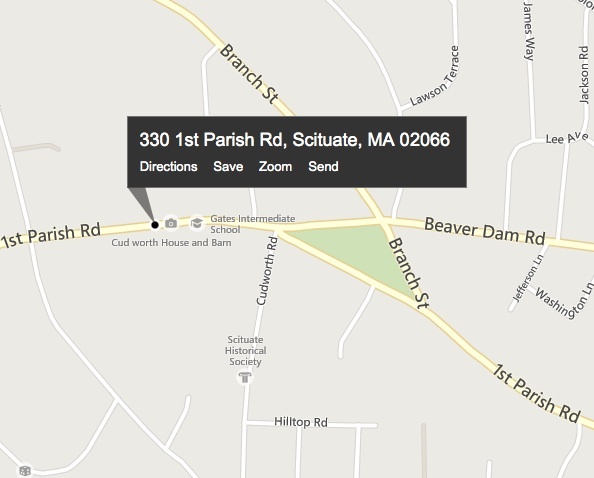 Services are held on Sundays at 10:30 a.m. (Sept-June) at 330 First Parish Road in Scituate MA. Everyone is welcome. The Rev. Pamela Barz is our minister. Join us—for reflection, music, and fellowship (and our thriving youth program)! On Palm Sunday we will remember people throughout history who have been willing to offer their lives that others might have greater life. Members of the congregation will read the words of Socrates, Jesus, Mary Dyer, Etty Hillesum, Gandhi, and Martin Luther King, Jr. The children will hand out palms at the beginning of the service and then leave for a story and a craft. Older children and youth are welcome to stay in the sanctuary. On this Easter/Earth Day Sunday, Pamela Barz and Bill Ketchum will reflect on hope - hope for our lives and hope for the Earth. As a sign of the parade of hope, you are invited to wear a festive Easter bonnect! Children will receive flowers during the service and there will be an egg hunt after the service for preschool and elementary school-aged children. Youth from our joint Sci-Co-Rockwell youth group will lead worship this morning. We begin a new series this month, using plays as a prism for faith. Local playwright, director, and theatre professor Lisa Rafferty will lead this monthly series along with Pamela Barz and Natasha Stewart, Priest-in-Charge of St. Luke’s Episcopal Church. Our discussion will be based on listening to songs and reading aloud passages from the script. No advance preparation is necessary. During the first session, March 18, we looked at Fiddler on the Roof (book by Joseph Stein, music by Jerry Bock and lyrics by Sheldon Harnick, based on stories by Sholom Alecheim). Future discussions will focus on Godspell (Monday May 20) and The Savannah Disputation (Monday June 3). Open to all. Please join us to discuss the book, how to be an ally in the fight against institutional racism, and how this relates to our local and global communities. Discussions led by John Scopelleti and Pamela Barz. This month we will be discussing Chains by Laurie Halse Anderson. After many months discussing works about race and privilege, the group has decided to delve into the books that are studied by 6-12th grade students in the Scituate school system. Our March reading was Lois Lowry's The Giver (following up Yoko Kawashima Watkins' So Far From the Bamboo Grove; Monster, by Walter Dean Myers; and Paul Fleischman's Seedfolks). We'll discuss the book and how it does (or does not) help create a sense of empathy towards folks who are traditionally under-represented in the books read by Scituate students. Copies of the book are available in the library system. The Blue Boat sails once more! Once again we will highlight the incredible talent of local adults and youth while raising funds for a local non-profit organization (proceeds from this show will benefit Scituate Friends of Music), and providing a fun, safe evening out for the whole community. This alcohol-free, substance-free, family-friendly event is open to the public. Visit the Blue Boat Coffeehouse Facebook page to learn more. Gardeners take note! Our annual spring fair offers a great selection of quality seedlings and transplants of perennials, herbs, and veggies. And take home some delicious baked goods, or enjoy a treat in our cafe with fresh hot coffee. Rain or shine! EASTER FLOWERS for dedication - Order now! The flowers you order will decorate the altar for Easter Sunday/Earth Day, then you may take them home after the service. Names of donors and the dedications will be included in an insert in the order of service. Registration is rolling. Registration form is here. We have about 50 kids in our program. Learn ALL about our classes and activities for kids and youth here! We welcome our new Director of Religious Ed! Bill Ketchum is a 2017 graduate of Andover Newton Theological Seminary. Retired from a career in business, he is continuing a lifelong calling for working with adults and youth as a chaplain, mentor, coach, and teacher. Would you like to incorporate meditation into your spiritual practice? Would you like to add the energy of others to your already existing practice? All are welcome. Cushions are provided, or bring your own. Adult Ed: "AFRICA: Contributions to World Culture"
This class will explore “Hidden History of European Advancement” leading perhaps to additional sessions focusing on the so-called New World. For more info and to sign up, contact William. This winter, two small groups gathered for a five week conversation about the work of Brene Brown, professor at the University of Houston, on fear, shame, and vulnerability. Her TED Talk The Power of Vulnerability has become one of the most-viewed talks.The groups found the conversations so powerful, they are continuing the discussions. Using Brown's book The Gifts of Imperfection, the group will continue to reflect on how we can move out of fear into more hope, peace, love, and joy. Thank you to Eagle Scout Barak Laciner for constructing the drop box. With the help of the Frey family, First Parish is distributing clean socks for homeless men and women on an ongoing basis to Haley House and Rosie's Place. Packages of new socks can be placed in the basket in the Sloop Room. First Parish member Jenn Mackey has connected us with the Zienzele Foundation. The organization supports women who are caring for AIDS orphans; their handmade baskets are sold in the US to provide funding for school for the children. Baskets are availble at the new online store and at our church fairs. First Parish Unitarian Universalist Church of Scituate MA is a vibrant, inclusive community of faith. We are a non-credal church stressing love, service, and religious freedom. 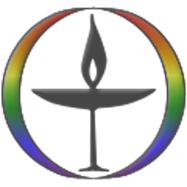 Grounded in our Unitarian Universalist principles and purposes, we affirm the inherent worth and dignity of every person, and we support each individual's unique search for truth and meaning. We welcome you, wherever you are in your search for deeper meaning, to join us in exploring “the big questions” and cultivating ways to live the answers amidst today’s modern challenges. Our congregation seeks ways to build community, guide our children, deepen spiritually, and to make a positive difference in the world. We celebrate the interconnectedness of all things. Join us for sermons, service, or celebrations! Online giving can be used for one-time or recurring charges for pledges, capital campaigns, memorial donations, class registrations, and more, easily tracking your tax-deductable donations. What's going on in our parish life? Read the Sloop's Log newsletter!